Tell-a-Dragon-Tale Week is coming to a close. I hope everyone spent the chill October evenings gathered by the fireside, swapping rip-snorting, spikey-wikey Dragon stories. In bookstores and on Cyberian e-book shelves around the world, there is a treasure trove of draconic tomes. With Yule fast approaching – and knowing how Dragon and their people love books – I thought I would end the week mentioning a few volumes you might like to pick up for your libraries. The Dragon Keeper’s Handbook: Including the Myth & Mystery, Care & Feeding, Life & Lore of These Fiercely Splendid Creatures (Woodbury, MN: Llewellyn Publications, 2011). Not the slavering, whimsical monsters from childhood fancies, but real Dragons­—fierce, complex, wondrous, and wild. They do not require our belief; they never have. 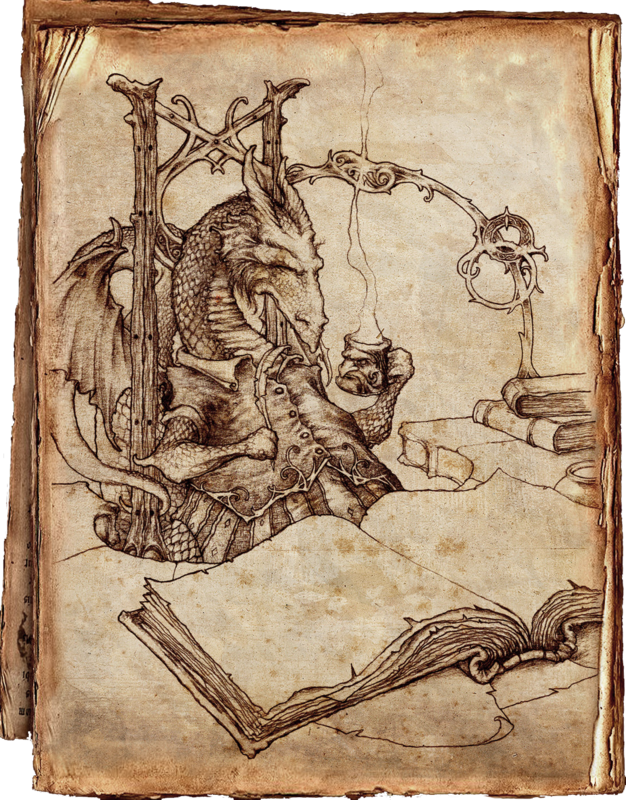 With hard science, and myth, empirical wisdom and original line drawings, The Dragon Keeper’s Handbook is the draconic enchiridion for the modern world, providing everything you need to know about these extraordinary beings. From disparate theories of Dragon evolution and the golden geometry of their form to modern conservation efforts and how to release a well-weaned orphan back into the wild, this book answers all your questions, even those you didn’t know to ask. From awe-inspiring Cosmic Creators to wee pisuhänds guarding hearth and home, discover the habits and habitats of Dragons and pseudo-dragons both familiar and rare. The Dragon Keeper’s Handbook shows us how human and Dragon lives are bound together and why Dragons are now—and ever-will-be—relevant: In their wildness lie lessons for us all. Dragons for Beginners: Ancient Creatures in a Modern World (Woodbury, MN: Llewellyn Publications, 2012). Here Dragonfire sears the grass and the wind dances with Dragon-song. Here you’ll find true Dragons, real flesh-and-blood creatures that are as fiercely alive and majestic as they were thousands of years ago. This essential, comprehensive introduction to Dragons is filled with what everyone must know about these extraordinary creatures. Whether a casual dracophile or a dedicated Dragon keeper, come explore what Dragons have to teach us about the world and our-selves. Discover how, with care and devotion, you can help save them from extinction. Because the Pleasure-Dragon Whistles, an e-tale. A young Welsh Dragon befriends a young Welsh poet. This is their story, wistful and funny as only Dragons and Bards can be. 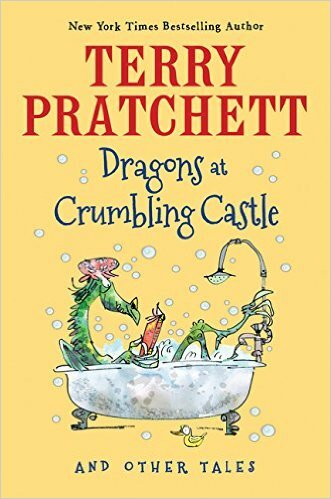 For fans of the late, great, Sir Terry Pratchett – and who isn’t?- just out this month, Dragons at Crumbling Castle & Other Tales. “This never-before-published collection of fourteen funny and inventive tales by acclaimed author Sir Terry Pratchett features a memorable cast of inept wizards, sensible heroes, and unusually adventuresome tortoises. 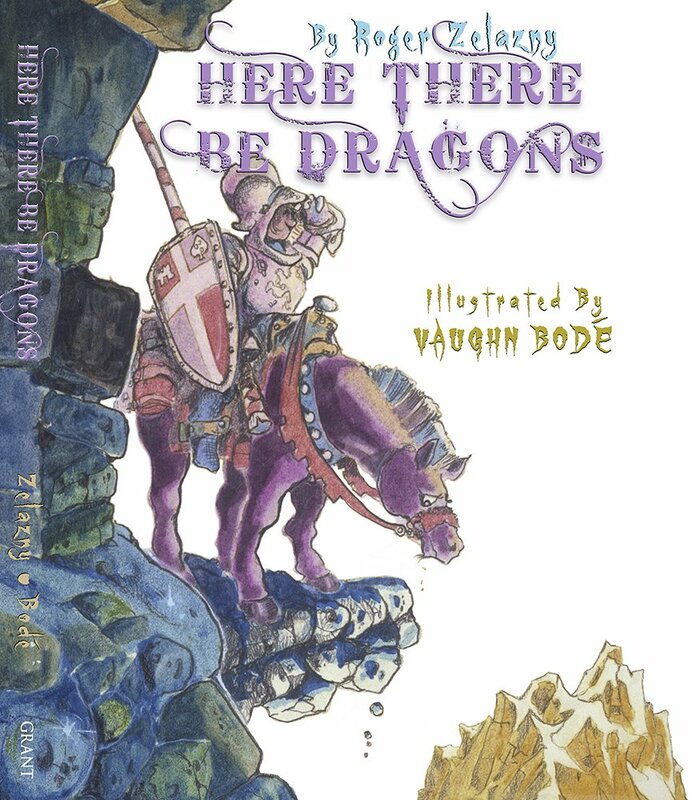 Also out this year, Here, There Be Dragons, a children’s book by fantasy master, Roger Zelazny. It is the tale of a tiny kingdom, isolated by the belief that the world beyond is aswarm with fiercesome dragons. When the outside world crashes the princess’s birthday party, it is up to William, advisor to the king, to put things right one way or another. 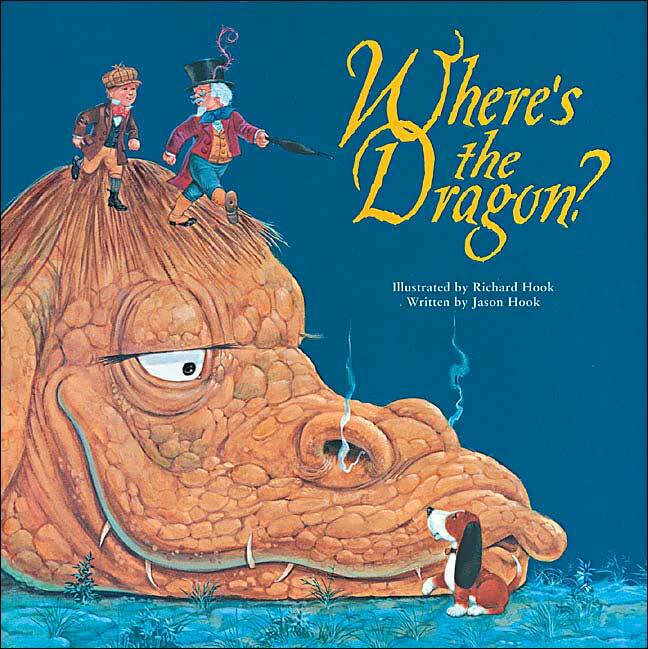 And finally, for the youngsters on your Yule list, an oldie: Where’s the Dragon by Jason Hook and beautifully illustrated by Richard Hook. These are, of course, just the tip of the literary draconic iceberg. I am sure you all have your favorite Dragon books. I hope you will share them with us. Author of "The Dragon Keeper's Handbook" and "Dragons for Beginners." Writer of fantasy and science fiction. Editor of crossword puzzles and prose. Avid student of all things mystical and rare, wild and woolly, and all creatures great and small. My favorites are the Temeraire saga and the Farloft chronicles. I think you would love Farloft. Great! Thank you for the recommendations. I will add them to my list, for sure.